Its a tough ask to choose just the 10 out of so many famous awe inspiring landmarks in the world. Landmark is a term usually designated to monumental structures such as forts, palaces, churches, cathedrals that were constructed to commemorate a historical yet remarkable event. But this is not the only criteria on which landmarks are chosen, natural phenomena in physical structures such as rock mountain formations, gushing waterfalls or any other creation that is beyond the imagination of human mind. 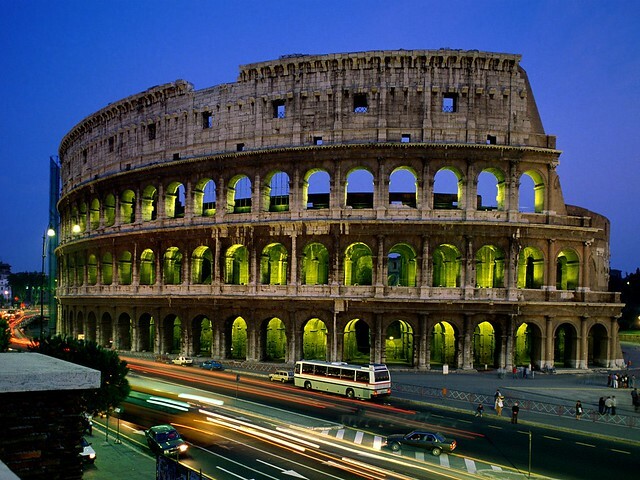 Mentioned below is the list of top ten most famous awe-inspiring landmarks in the world. 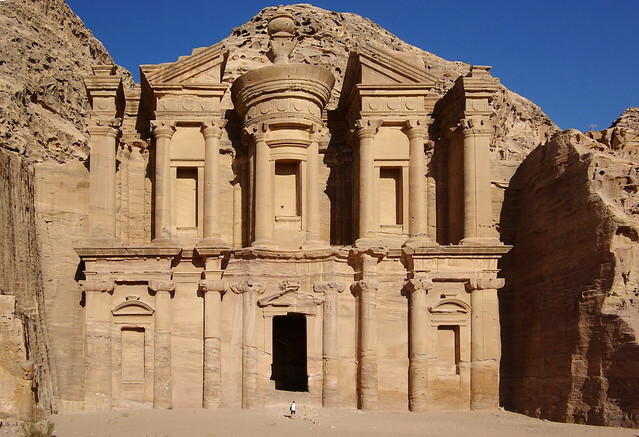 Emblazoned as World Heritage Site by UNESCO and voted as one of the new Seven Wonders of the World, Petra was described as “a rose-red city as old as time” by an award winning poet John William Burgon. The city is known for its red sandstone structure brilliantly carved out of Rock Mountains and water channel systems. As you gaze at the Great Pyramid of Giza from far behind, everything around just looks like a speck in the backdrop of this gigantic structure. 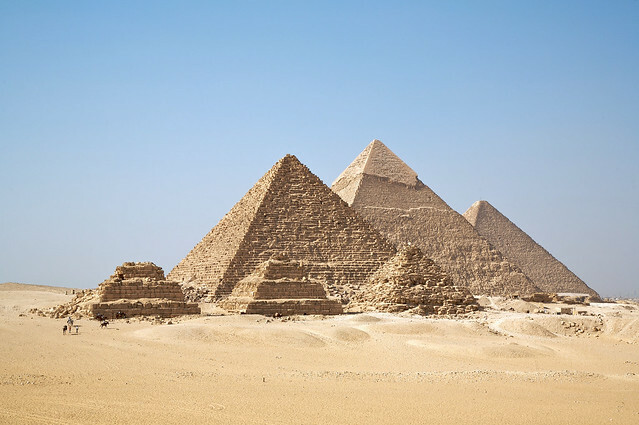 Such is the magnitude of this pyramid which stands proud as the tallest man-made structure in the world and is listed as one of the Seven Wonders of the Ancient World. 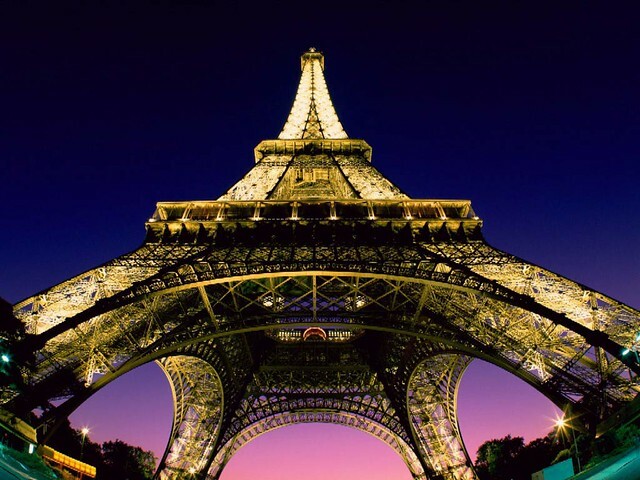 It is impossible not seeing Eiffel Tower if you are visiting Paris which is often considered to be the most romantic destinations in the world. Owing to the sheer size of the tower and strategic location on the Champ de Mars, the upper part of Eiffel Tower is visible from all over Paris. The Eiffel Tower was constructed as the entrance arch for the World Exhibition in 1889 and since then has become the most-visited paid monument in the world. Novelist Guy de Maupassant - who claimed to hate the tower - supposedly ate lunch in the Tower's restaurant every day. When asked why, he answered that it was the one place in Paris where one could not see the structure. Today, the Tower is widely considered to be a striking piece of structural art. One of the most iconic structures of the United States of America without a doubt is the Statue of Liberty. 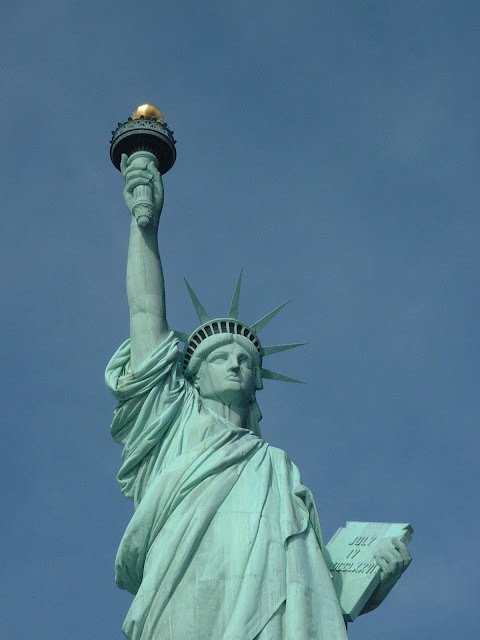 Also known as Lady Liberty, Statue of Liberty was a gift from the people of France to the United States and symbolizes the Roman goddess of freedom Libertas wearing robe whose one hand bears a torch and other bears a tabula ansata which means a tablet evoking the law. The UNESCO "Statement of Significance" describes the statue as a "masterpiece of the human spirit" that "endures as a highly potent symbol—inspiring contemplation, debate and protest—of ideals such as liberty, peace, human rights, abolition of slavery, democracy and opportunity." One immigrant who arrived from Greece famously said, "I saw the Statue of Liberty. And I said to myself, "Lady, you're such a beautiful! You opened your arms and you get all the foreigners here. Give me a chance to prove that I am worth it, to do something, to be someone in America." And always that statue was on my mind." Arguably one of the greatest architectural marvels built in the days of Roman Empire is the Flavian Amphitheater also known as Colosseum. With a capacity of holding a crowd up to 50,000 spectators, this giant elliptical stadium was meant for public entertainment events such as gladiatorial contests, mock sea battles, animal hunts, and Mythological dramas. 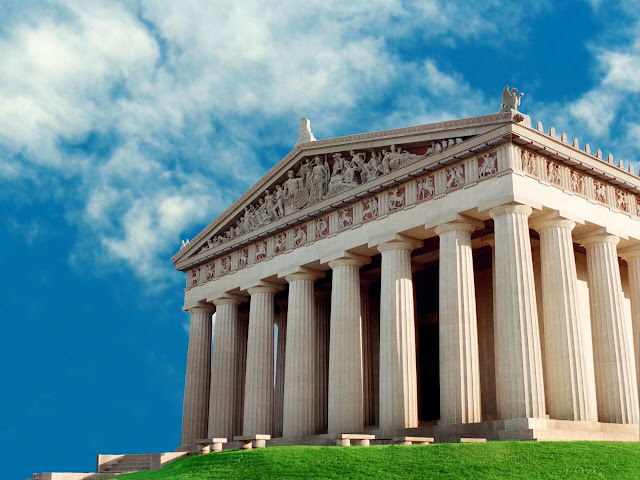 The word Acropolis literally means “zenith point of the city. The ancient Greeks used to choose an elevated ground or a hill to build their towns which enables them to fortify and defend their settlements at the time of war. Settled on a limestone hill, Acropolis comprises of a magnificent temple dedicated to the Goddess Athena- Parthenon, a monumental marble gateway-Propylaea, Erechtheum-a temple known for its intricate architectural detailing and the temple of Athena Nike- a goddess who brought so many victories to the town. With a length over 8,800 kilometers from the mountains of Korea to Gobi desert, The Great Wall of China is the symbol of China’s unity and known for its artificial constructions. 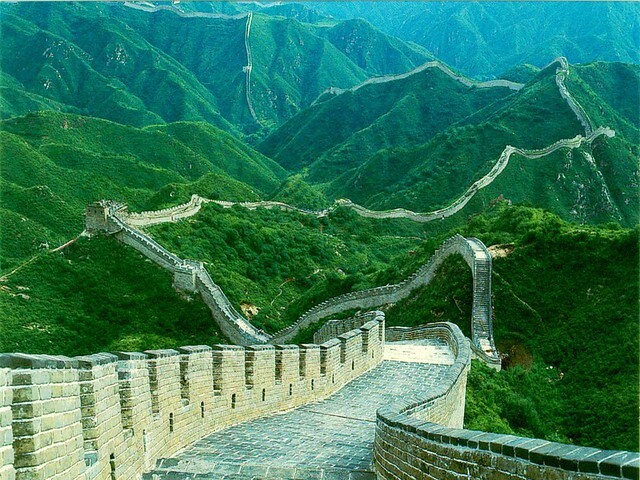 The wall has contributed a lot in the development of China’s history and played a vital role in promoting tourism in China. From a far distance it looks like a giant dragon curving its path from east to west. A multi-venue performing arts centre, Sydney Opera House was designated as UNESCO World Heritage Site as it is a perfect specimen of architectural and structural creativity and innovation. Renowned as one of the most impressive structure as the twentieth century, the path-breaking structure was constructed by a Danish architect Jorn Utzon after winning an international design in 1957. 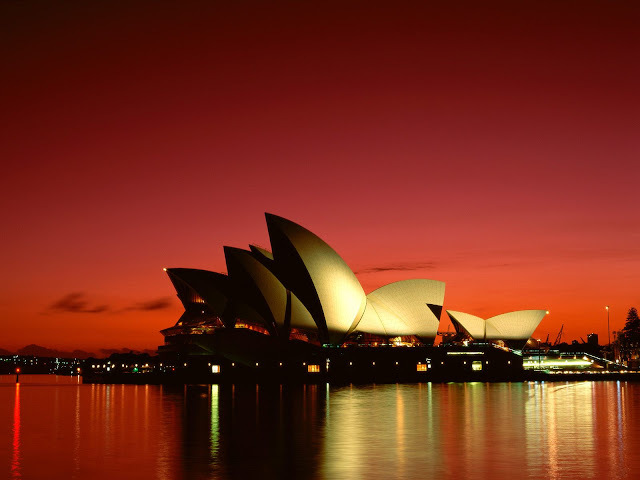 This world class performing arts center is owned and managed by Sydney Opera House trust and is one of the major and unrivalled tourist attraction in Australia. Easter Island is a Polynesian island situated in the South Pacific Ocean about 2000 miles from Chile’s west coast. According to a popular culture, the people of Easter Island are believed to have come from a mythical city called Hiwi Lay in the east. 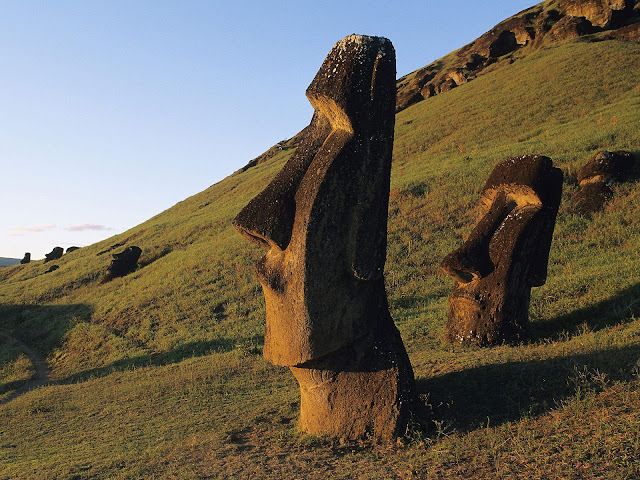 This island holds visitors attraction due to 15 moai ahu statues that represents a very impressive and creative accomplishment. Easter Island is indisputably one of the most fascinating places on earth and also rated as one of the top 10 places to visit in the world before you die. 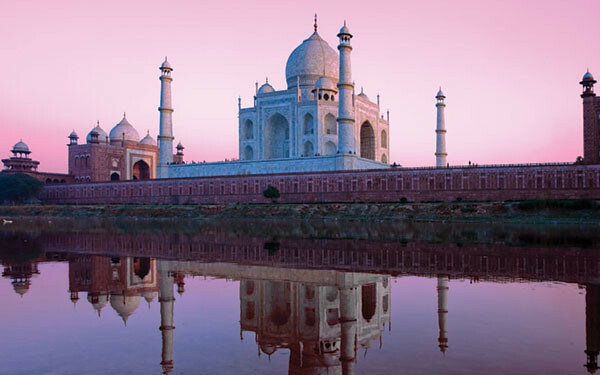 "A teardrop on the cheek of time"
The passionate love of Mughal Emperor Shah Jahan for his beloved wife transformed into a majestic monument known as Taj Mahal, a Mughal monument idolized as the symbol of immortal love in all corners of the world. One of the most iconic structures in the world, Taj Mahal is an exquisite white marble monument inlaid with semi-precious stones set on the red-sandstone platform. Firm believers in true love gather in front of this majestic monument from all across the globe. Bejeweled with several precious stones and calligraphic inscriptions on large pishtaq adds to the exquisiteness of this imposing structure. Care to know about top 10 most romantic islands in the world?